Here is a simple step by step guide on how to file you income tax returns in India. Use these simple steps to file your tax return (ITR, ITR1, ITR2, ITR3 etc) with no hassle with the Income tax department. If you have further questions browse our Tax FAQ or ask away the question at our income tax forums. 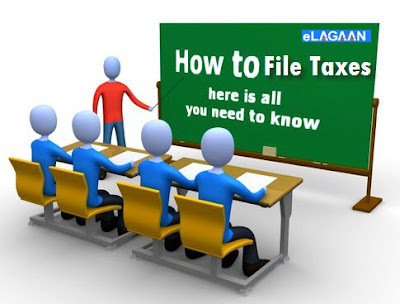 And remember preparing your income tax return is really easy and free with eLagaan.